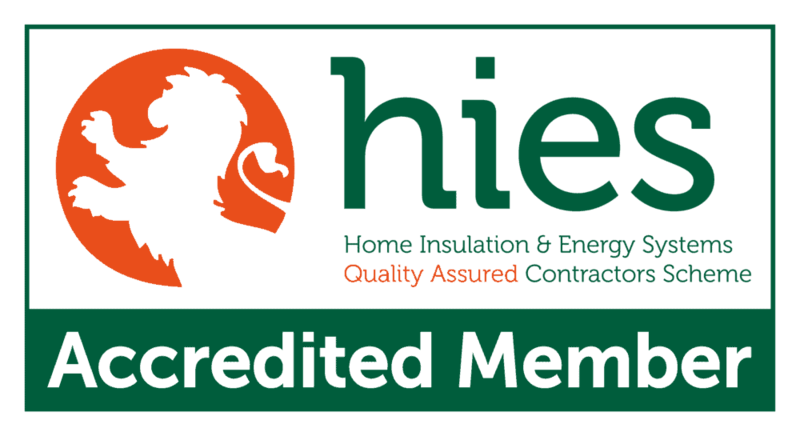 An exterior wall insulation company in Glasgow serving Scotland. What is external roughcasting wall insulation? Is it available in Glasgow & Scotland? 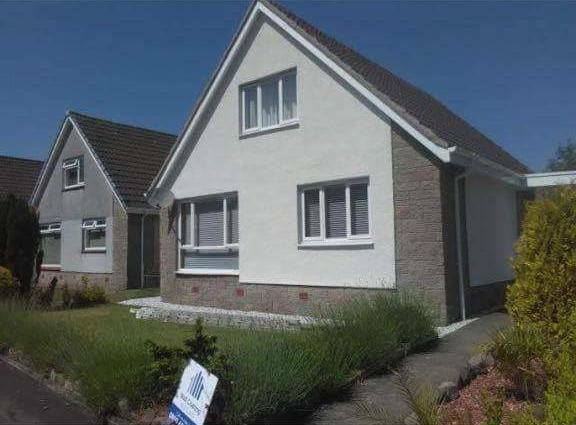 Wall Coating Scotland are experts in all things relating to external/exterior wall and house treatments including external/exterior roughcasting. 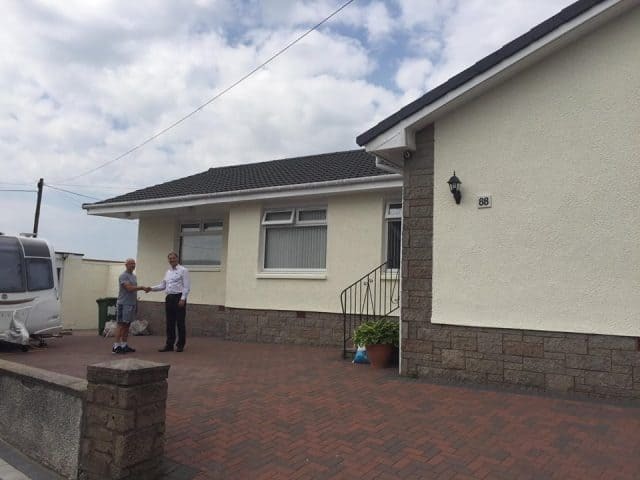 The exterior of your property is the first thing that people see, in terms of aesthetics it’s very easy to spot a house that has been treated using roughcasting or similar products. You will feel a sense of pride when the work is complete and our external rendering work always gets strong feedback from our clients. 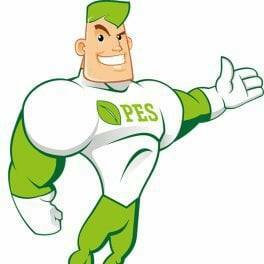 *External Wall Insulation is often known as pebble dashing. 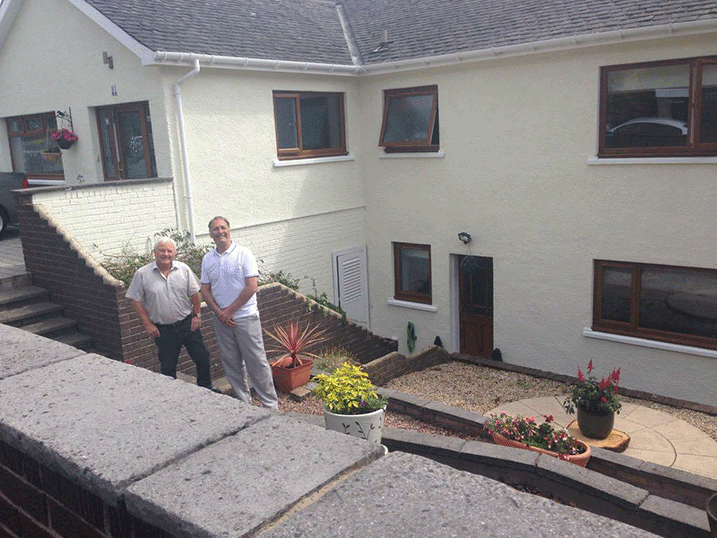 Simply put its the external stones and rough gravel that you will see in the outside walls of many homes in Scotland. 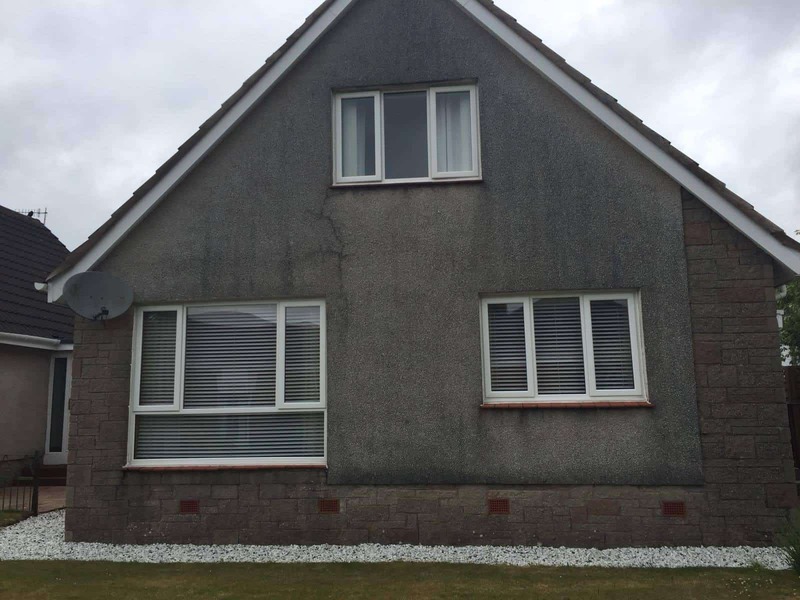 Wall insulation is the most popular type of exterior wall insulation treatment you will see in Scottish homes as it’s a more cost-effective option than the likes of exterior wall coating. 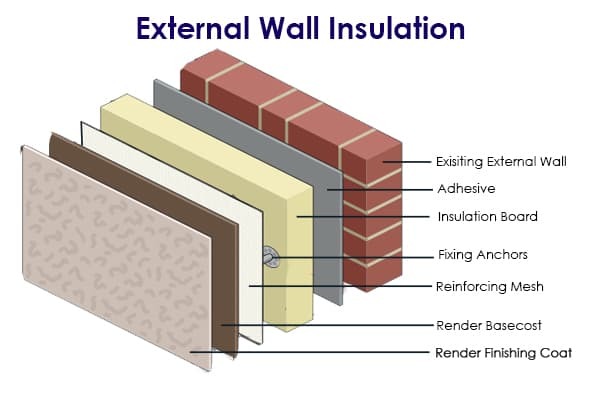 * External Wall Insulation Materials consist of cement, sand, smaller gravel, pebbles, shells plaster and lime. The mortar mix you use is the most important part of successfully roughcasting a wall or house. A little like wall coating spray, when roughcasting you should always cleanse your walls of any dirt, debris, mold and old paint. 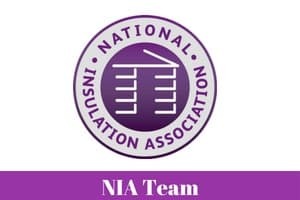 * Insulating the outside of a wall much like wall coating and cladding is best carried out by professionals as it’s easier than you would think to get it wrong which can lead to further problems. The process again very similar to wall coating, consists of thorough preparation, allowing the walls to dry properly and then finishing the job with an inspection to make sure it has set properly. 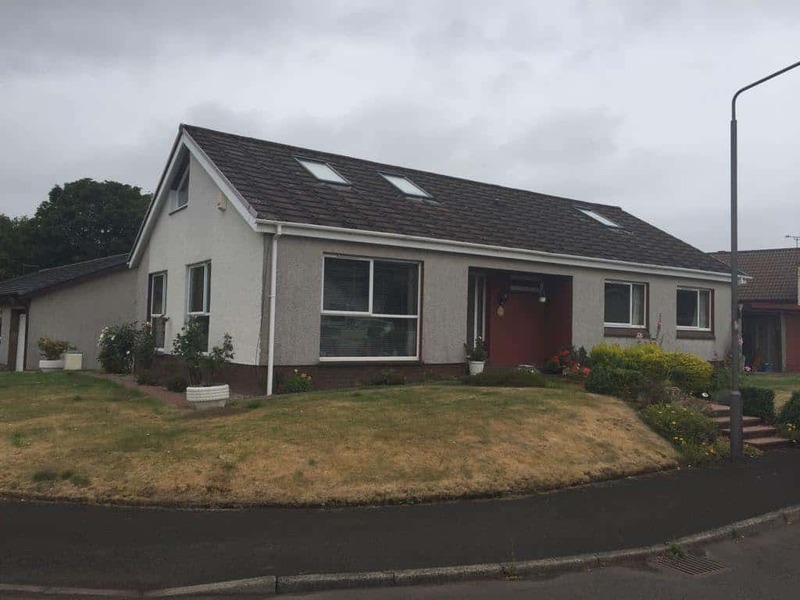 Here is a before and after picture of a house in Kilbarchan, Renfrewshire which had its outside wall insulated by ourselves. 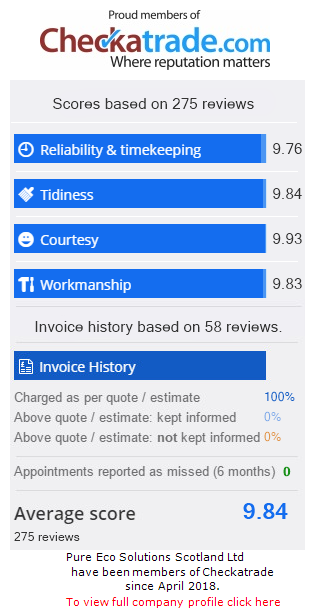 When we surveyed the house to allow us to provide an accurate cost we noticed there was some remedial repair on one of the side walls and on the back of the property. Before we started applying any insulation to the outside walls we repaired the internal brickwork and all damaged areas to a good standard. 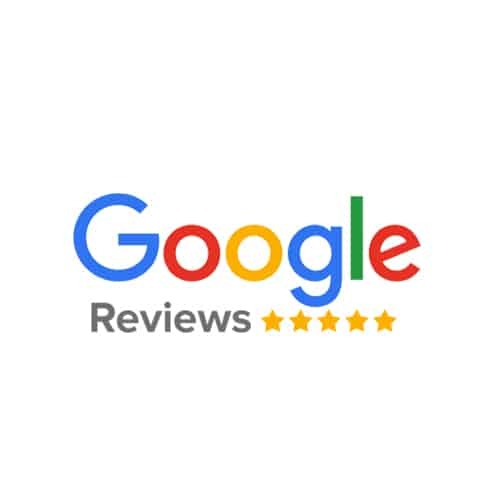 We are sure you agree as well as the obvious benefits of weather protection, heat retention with lower energy bills, as a result, the property looks far better aesthetically. Wall Coating Scotland are a Glasgow based company, most of our fitters are from the city as well as our main office. Although we are based in Glasgow we carry out exterior wall treatment and renovations in every town, city, and village in Scotland. 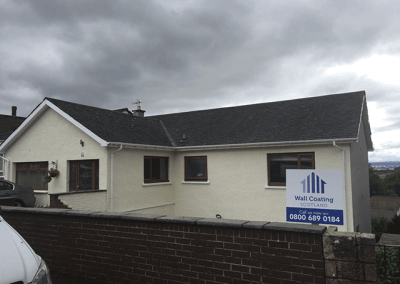 ANYTHING relating to the exterior of a home, Wall Coating Scotland are your best choice and certainly, if you are looking in the Glasgow area we are worth contacting for a competitive quote and high-quality work. Lots of customers we have complete roughcasting for said they were so glad to have found as especially after having numerous salespeople visit the house and call. Although we serve all of Scotland given we are based in the central belt most of our roughcasting work is in Edinburgh, Glasgow and Ayrshire. 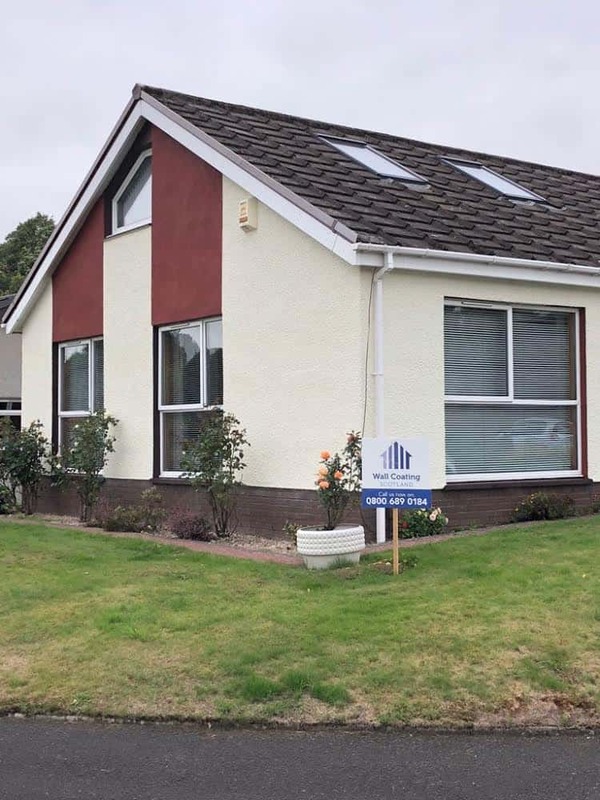 Wall Coating Scotland DO NOT USE A HARD SELL APPROACH, we have experienced staff and veteran sales professionals which will be apparent when you contact us. Improve the look and feel of your home. New outside wall protection can help insulation of your property by up to 50%. There are several tell-tale signs that you need to have your wall insulated more commonly known as wall coating. 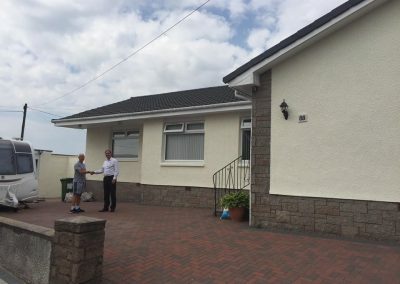 If the existing render on your home is beginning to crumble there are several maintenance techniques you can apply before carrying out a complete repair. We would, however, warn you of any DIY jobs or anyone who is eager to start patching it up without checking if your home insurance covers it and wither or not it is really the best option long-term. Often it is the case that water can become trapped behind the render and then frozen which separates the render from the substrate. The best way to confirm if this is the case is to have professionals take a look, even it’s just a survey to establish what is causing the issue before deciding on the best action to take. Most plasterers will offer rendering services so finding someone that will isolate the problem is fairly easy. If it turns out this is what’s causing your roughcasting to crack you are left with two viable options, you can patch the area affected and the area surrounding it or you can have the whole area removed and replaced with a new external finish. It all starts with a phone call or the basic online website enquiry form. Wall Coating Scotland have served all of Glasgow for many years now and we have wall insulation installers available in Abbotsinch, Anderston, Anniesland, Ballieston, Balornock, Barlanark, Bridgeton, Calton, Cambuslang, Carmyle, Castlehead, Castlemilk, Charleston, Clarkston, Cowcaddens, Dennistoun, Drumchapel, Dykebar, Easterhouse, East Renfrewshire, Eastwood, Ferguslie Park, Finnieston, Foxbar, Gallowhill, Glasgow City Centre, Glasgow’s East End, Firhill, Glasgow North, Glasgow Southside, Glasgow’s West End , Glenburn, Govan, Hillhead, Hyndland, Ibrox, Inkerman, Jordanhill, Kelvin, Kelvinbridge, Kelvinside, Knighstwood, Langside, Laurieston, Maryhill, Milton, Mosspark, Mount Vernon, Newton Mearns, Nitshill, Parkhead, Partick, Pollok, Pollokshaws, Pollockshields, Possil, Possilpark, Queenslie, Ralston, Robroyston, Royston, Scotstoun, Shawlands, Springburn, The Gorbals Tollcross, Toryglen, Victoria Park, Whiteinch, Woodlands, Yoker, Yorkhill and all other areas of Glasgow and Greater Glasgow.